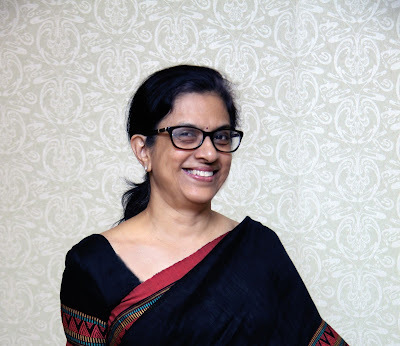 New Delhi, India, April 16, 2019 - PwC India has announced the appointment of Padmaja Alaganandan as the firm’s new Chief People Officer -CPO. Padmaja takes over the role from Jagjit Singh who is moving on after a successful stint. Padmaja has been associated with PwC for over eight years and has worn multiple hats during the stint. Prior to her current appointment, Padmaja was the Technology sector lead for PwC’s Advisory Line of Service. Before that, she was the leader of the firm’s People and Organisation Consulting practice. With over 25 years of consulting experience across diverse industries, Padmaja brings with her a rich experience of advising PwC India's top clients on issues around leadership development, talent management, change management, succession planning, as well as diversity and inclusion. At a time when PwC India is investing heavily in preparing its workforce to be fit for future, Padmaja's knowledge of the organisation coupled with her client servicing experience augurs very well for the firm's forward looking people strategy. Earlier this year, Padmaja was inducted into the firm’s leadership team. This is testimony to the importance the organisation places on talent development in its overall business strategy. She also gets the distinction of being the second woman to join the current India Leadership Team (ILT), the first being Satyavati Berera, COO PwC India. Before joining PwC in 2011, Padmaja has worked in leadership roles in organisations such as Mercer Consulting and A.F. Ferguson. She has also been a member of CII's National HR Committee, as well as its Committee on Skill Development. Padmaja has been a speaker at regional forums such the Asia Pacific Total Rewards Conference of the World at Work in Singapore, as well as the Asian Development Bank's Women Leader's forum in Manila. She is a founding partner of Social Venture Partners Bangalore, a philanthropic organization committed to making a difference at the local level. Padmaja completed her graduation from the University of Madras, and her post-graduation from the Indian Institute of Management Calcutta.